He lost her once to a rash decision. He will not lose her again. On the eve of a new year, Catherine Glick is expecting her bu of five years to propose. Instead, the unexpected arrival of an old boyfriend, Elijah, sends her life spiraling out of control. When a rash decision damages her current relationship, Catherine leaves for Florida to work in her cousin’s bakery—anything to flee the source of her shame. 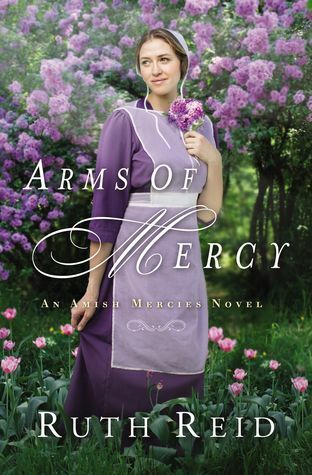 Elijah Graber knows he hurt Catherine when he left their Amish district six years ago. He’s determined to explain his actions, even if it means following her to Florida. Perhaps their two-day bus trip together will provide enough time for him to make his case and win her back. Just when Elijah is starting to tear down the walls Catherine has built, their bus skids on an icy road—and amid the mayhem and tragedy that follow, Catherine disappears. Elijah’s friends urge him to prepare for the worst, but Elijah holds on to his hope in God and refuses to give up his search for Catherine. With supernatural nudging from the most unexpected places, Elijah sets out to find the love he once lost—no matter the cost. Catherine loved Elijah until he hurt her emotionally. She has then moved on with her life. Currently romantically involved with another Amish man, Catherine has been waiting for love. What she doesn’t realize is that her heart was still with Elijah. Then, embarrassed by what happens to her next, she flees. Unexpectedly, Elijah meets her and from there the story grows complicated, heartbreaking, and sweet. Elijah broke his love’s heart. Hoping to make mends…he finds that his love never ended for her. Just being with Catherine makes him happy. Things are going well, until tragedy strikes them both. Loss, grief, and forgiveness are major themes of this novel. I was so engaged in both characters’ lives I felt like I was there with them. They made me hope and cheer for them both. The ending was wonderful. I wasn’t disappointed with this read. Overall, I highly recommend it to all Christian readers.